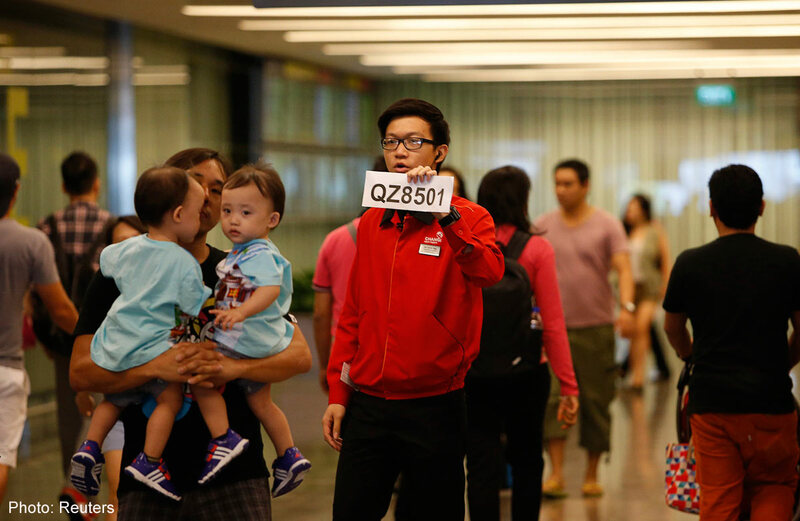 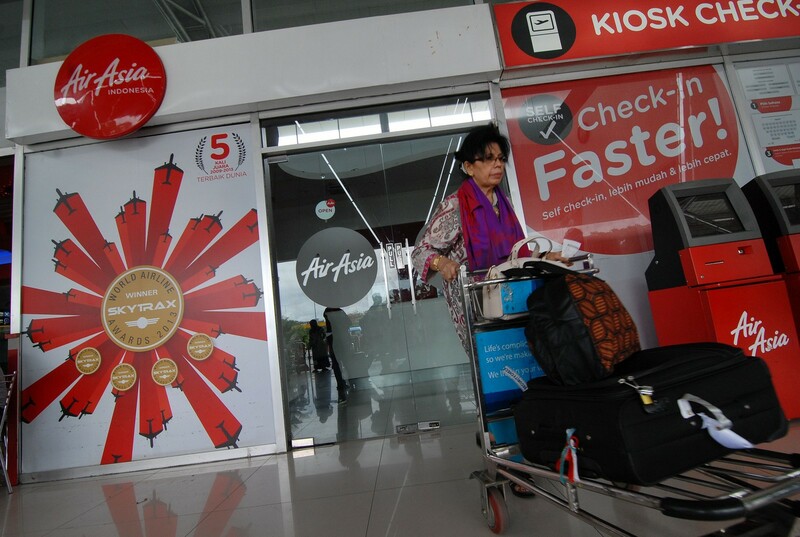 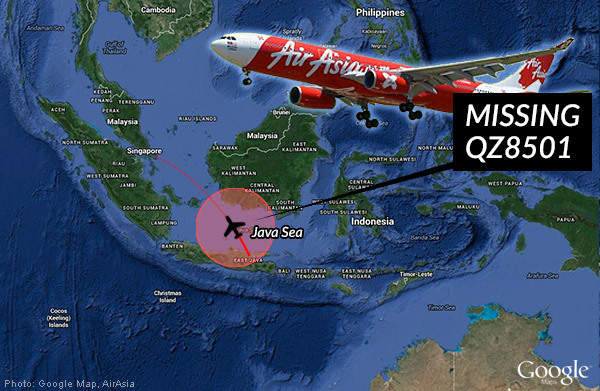 - AirAsia Flight QZ8501 takes off from Surabaya, Indonesia's second-largest city, at 5:31 a.m. on Sunday, bound for Singapore. 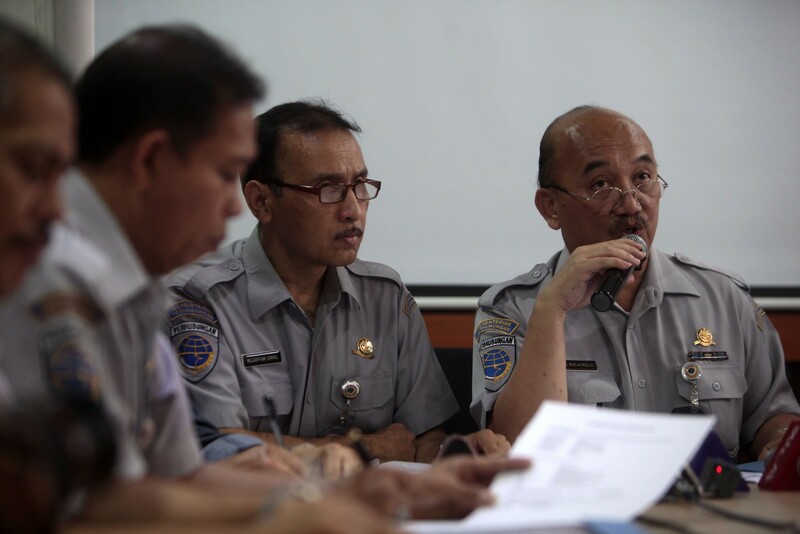 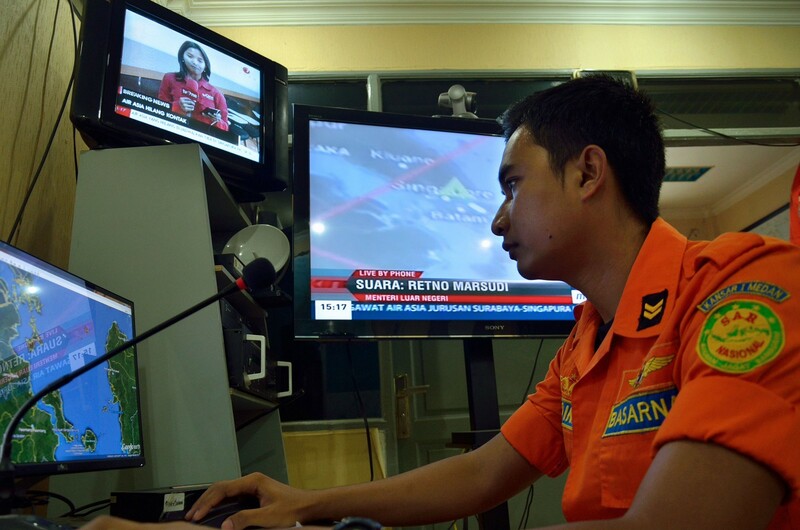 - The last communication between the pilot and air traffic control is made at 6:13 a.m., when the pilot asks to turn left and climb to 10,360 meters (34,000 feet) to "avoid clouds," according to Djoko Murjatmodjo, Indonesia's acting director general of transportation, who also said there was no distress signal from the cockpit. 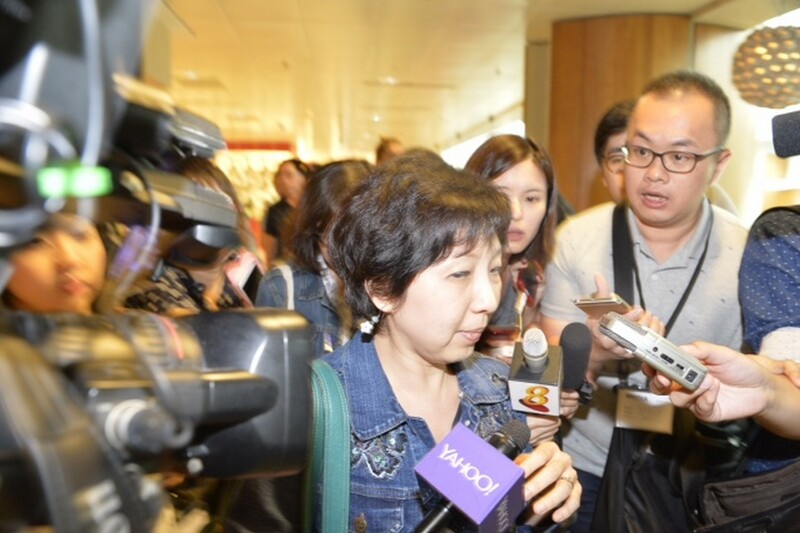 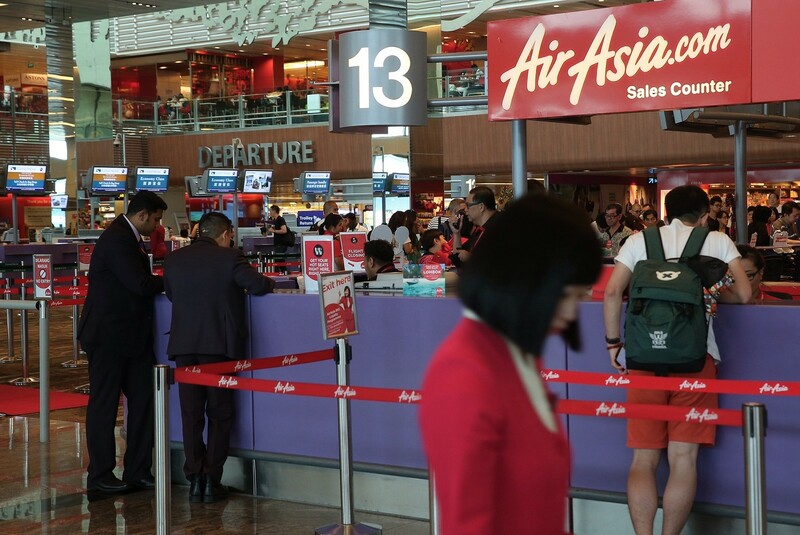 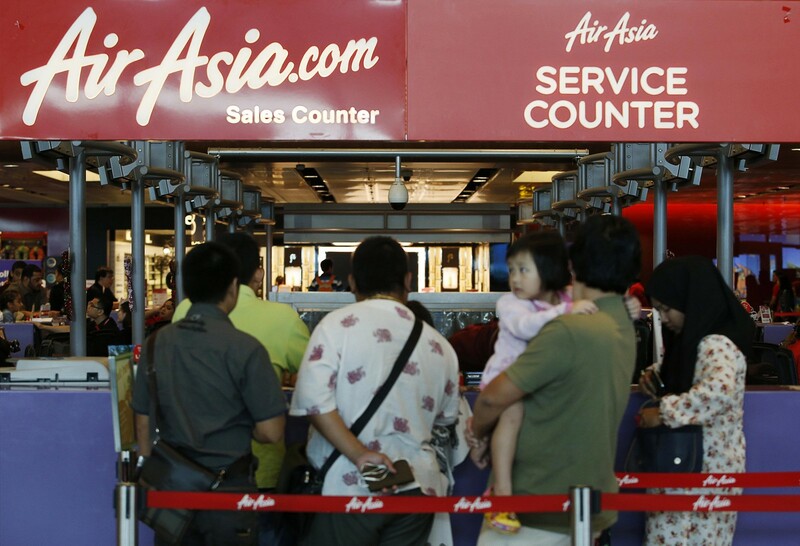 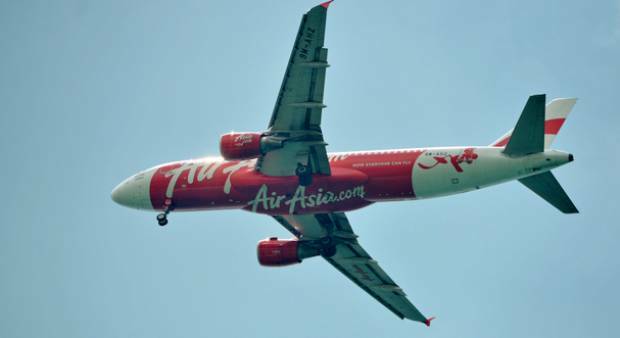 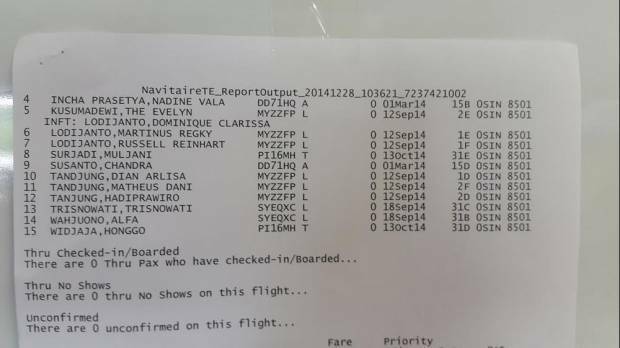 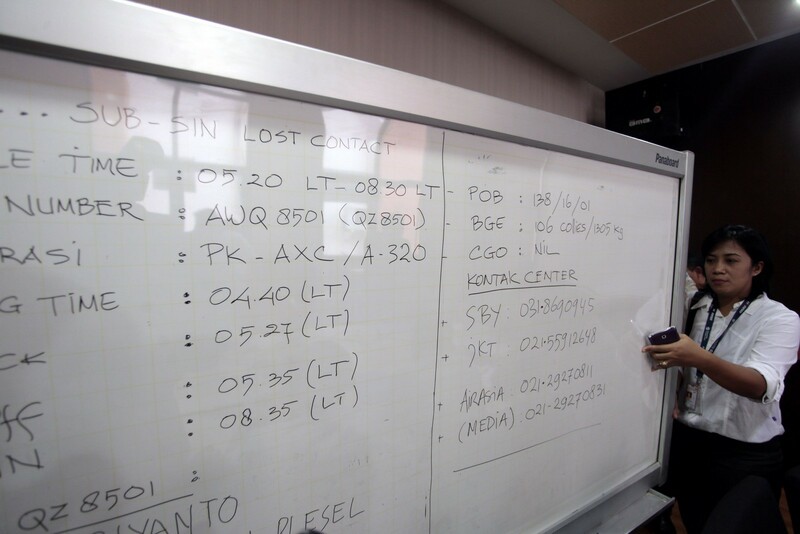 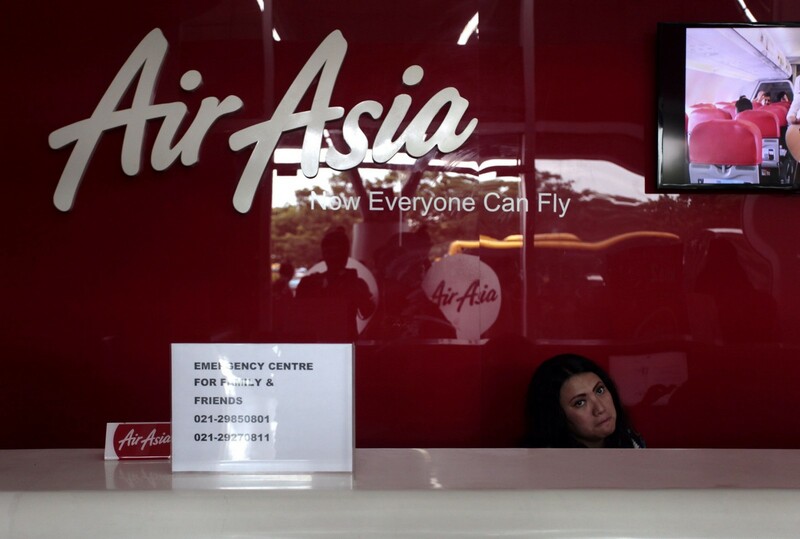 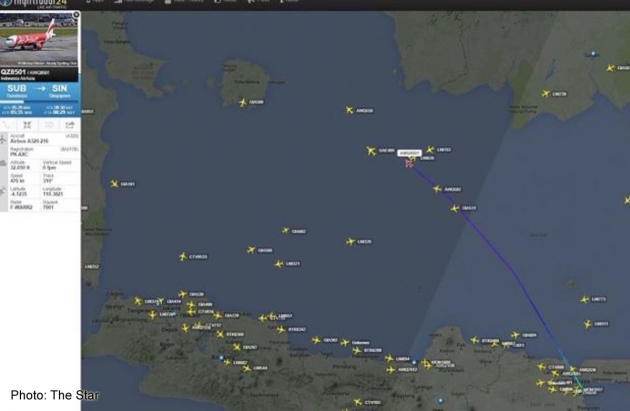 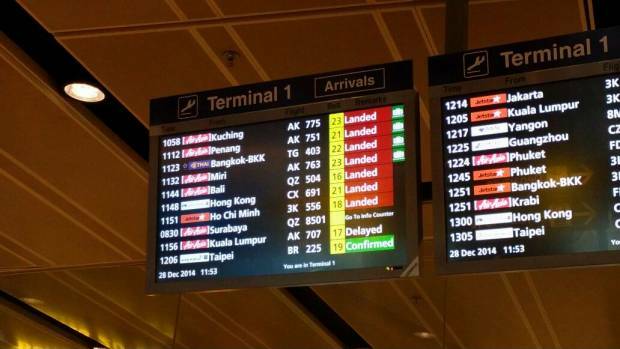 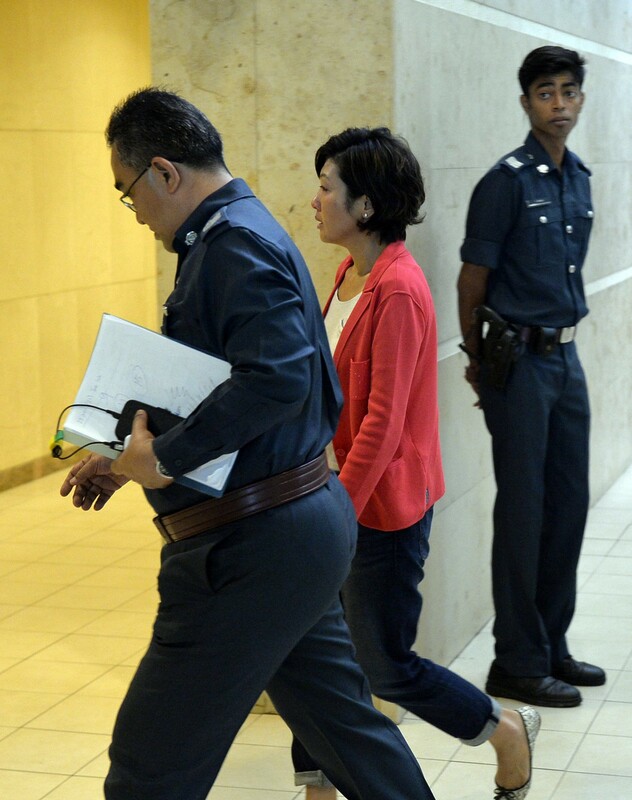 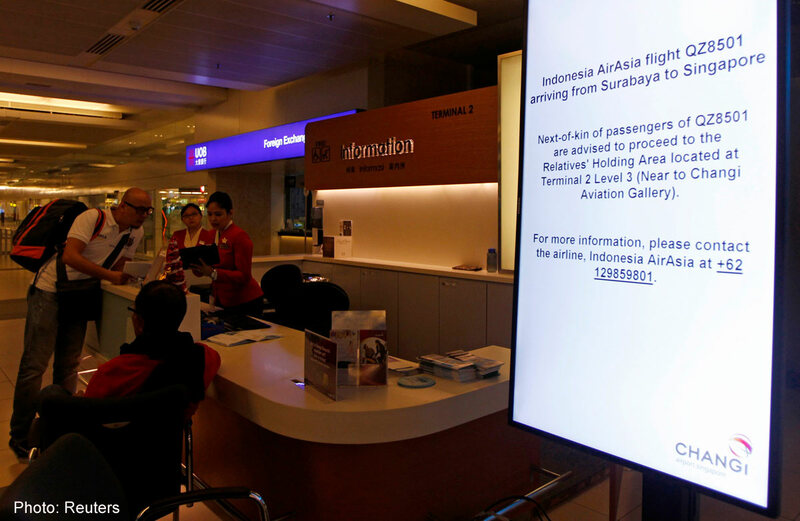 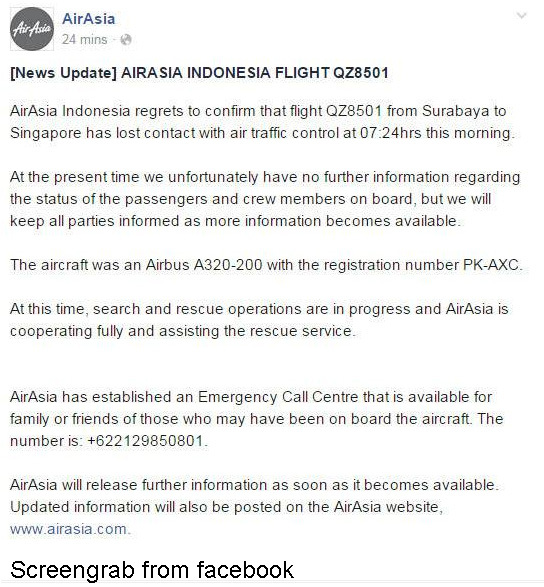 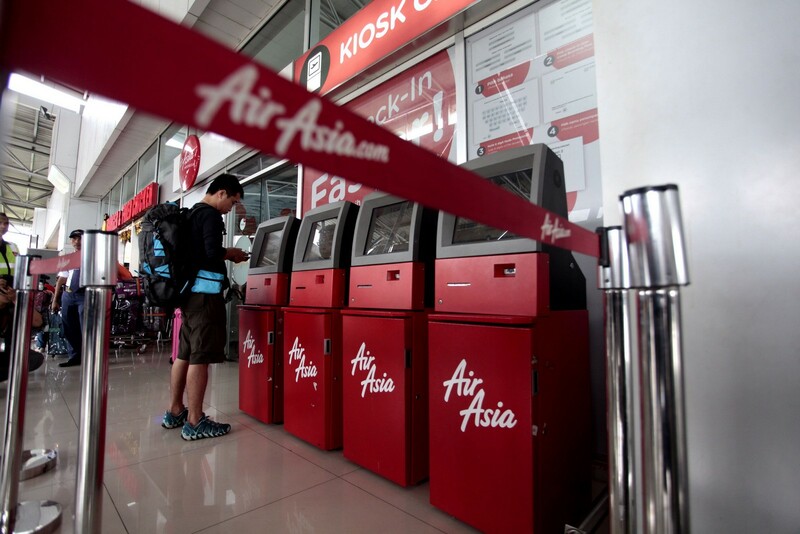 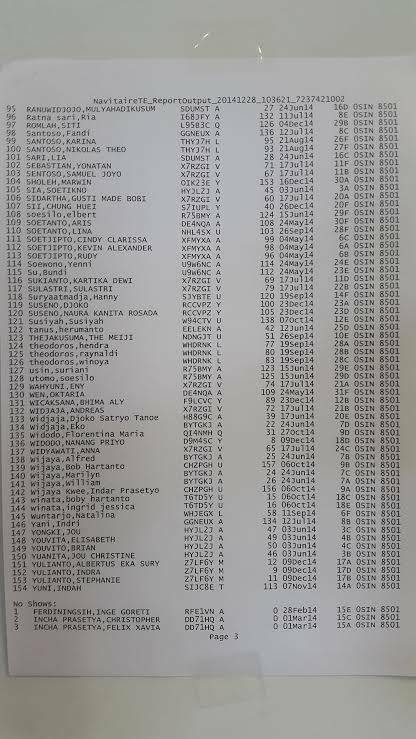 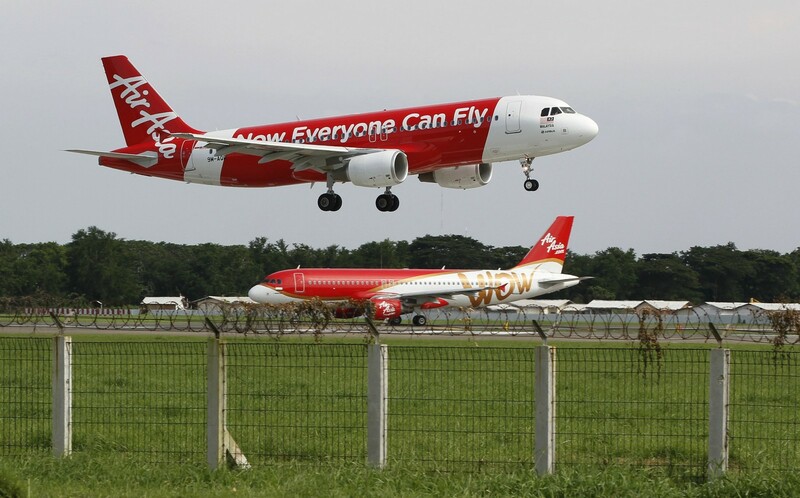 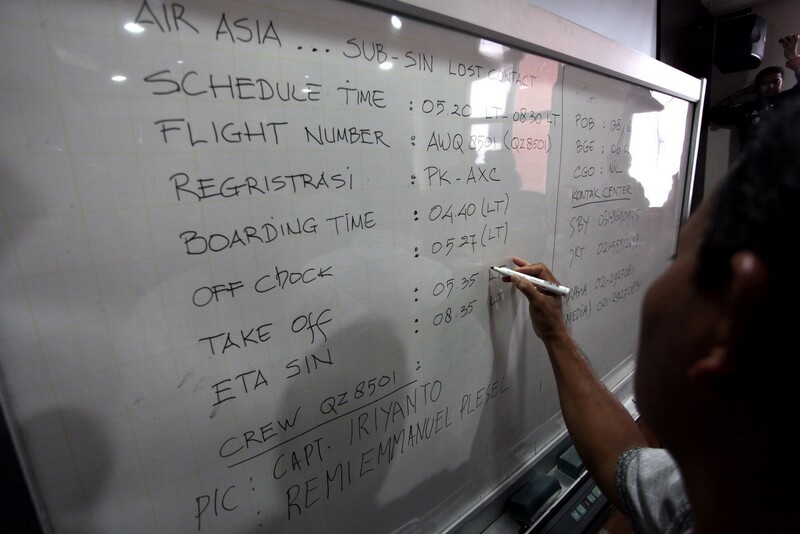 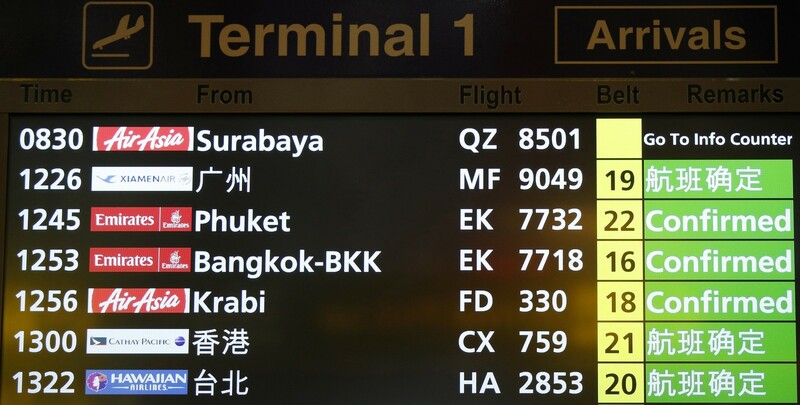 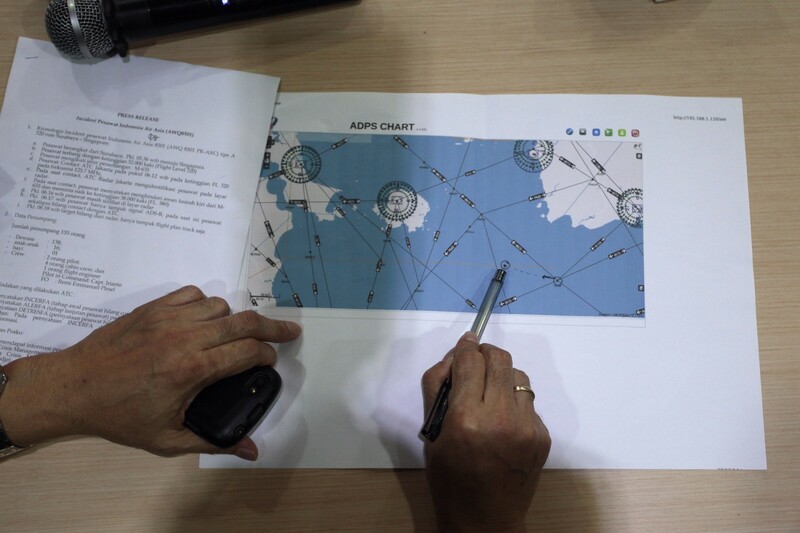 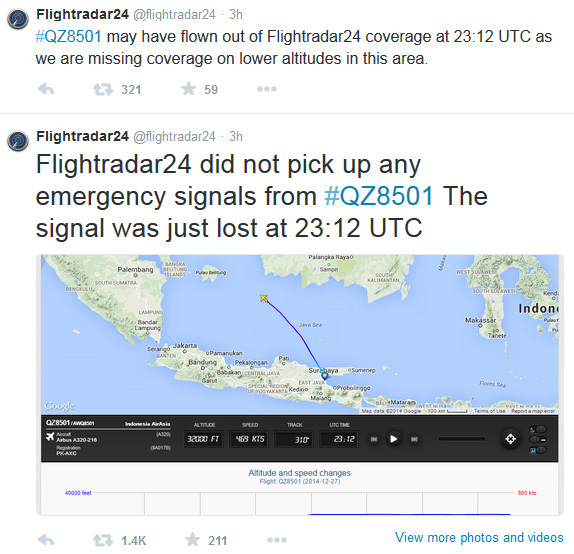 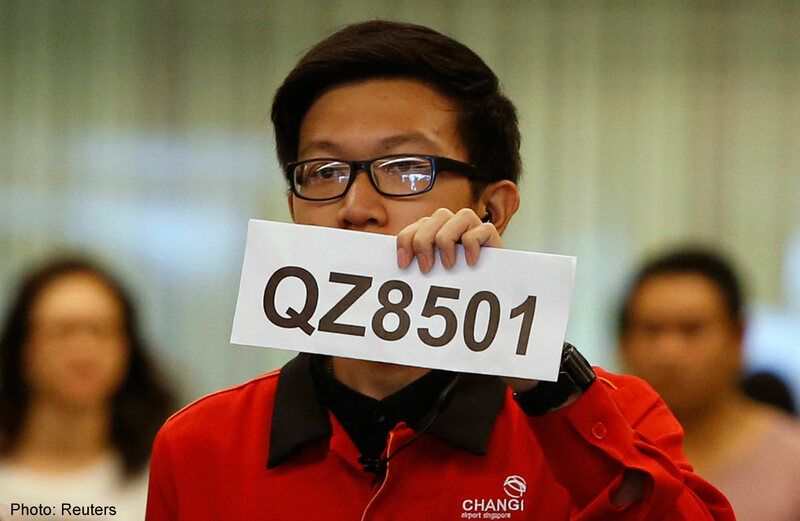 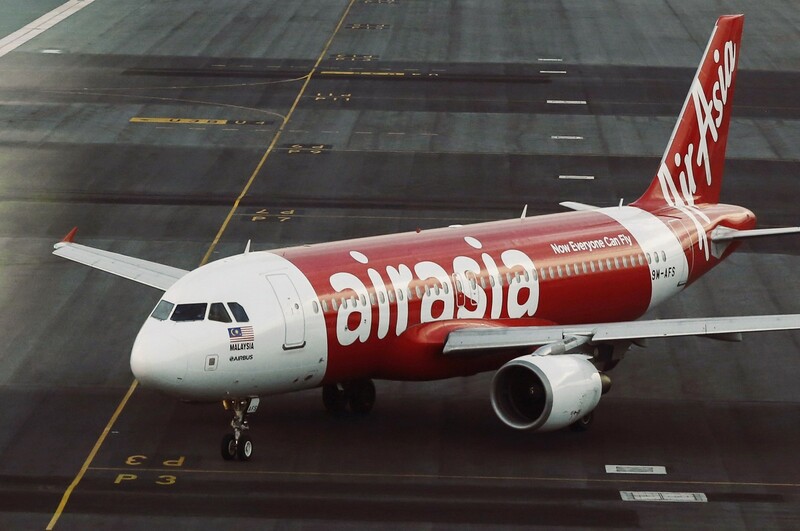 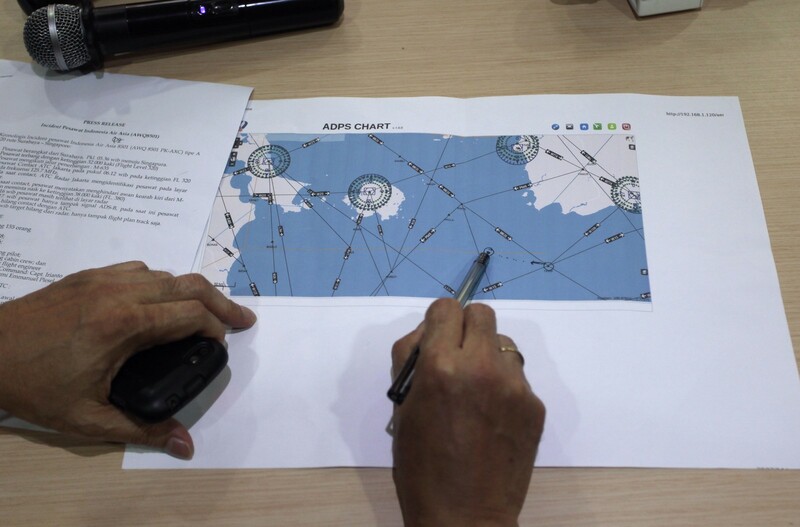 - AirAsia says the Airbus A320-200 was on the submitted flight plan route. 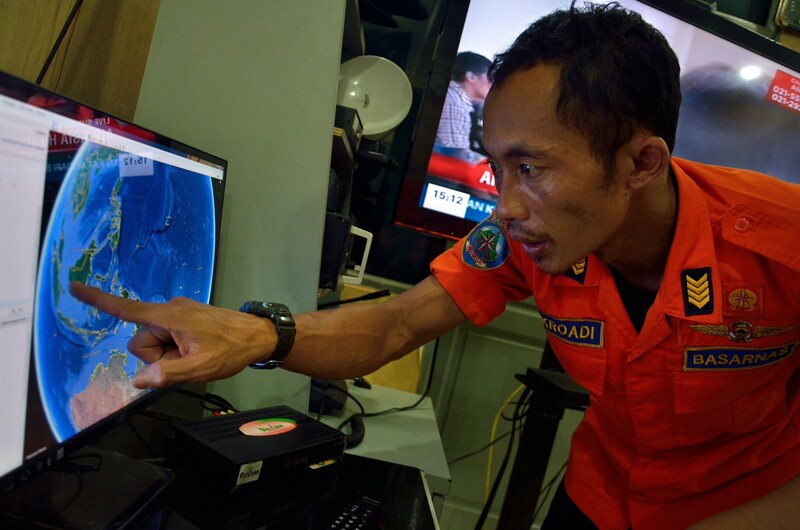 Murjatmodjo says it is believed to have gone missing somewhere over the Java Sea between Tanjung Pandan on Belitung island and Pontianak, on Indonesia's part of Borneo island. 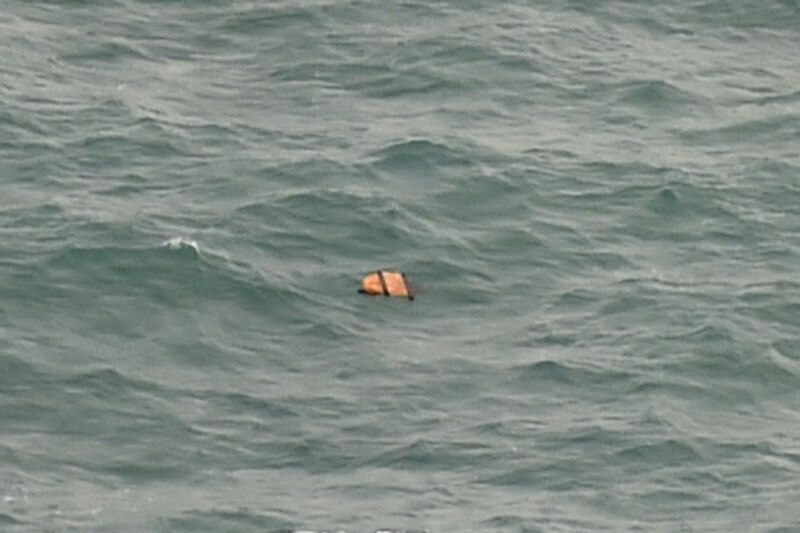 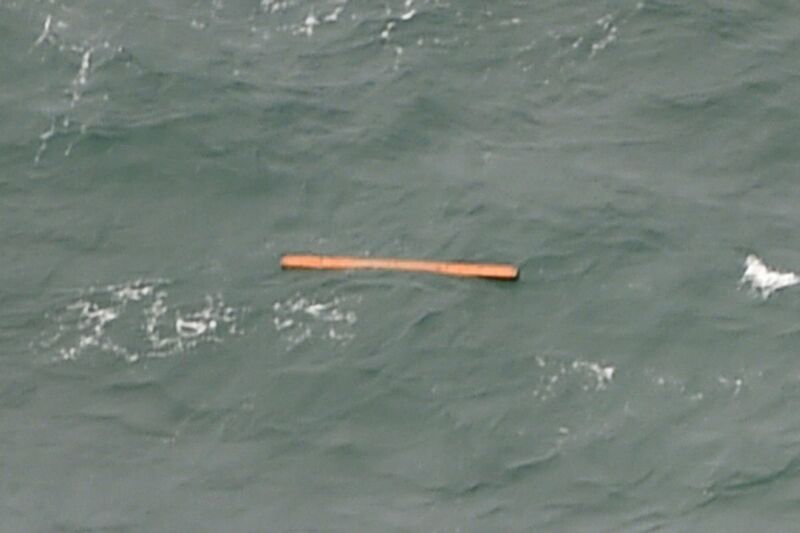 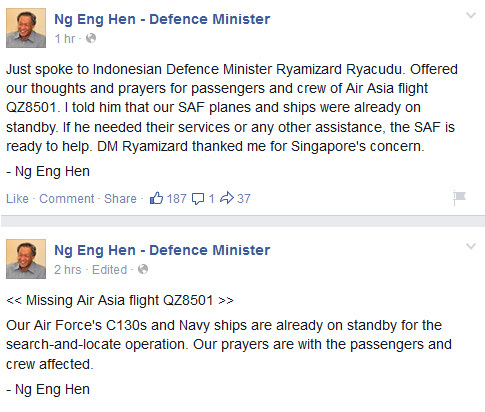 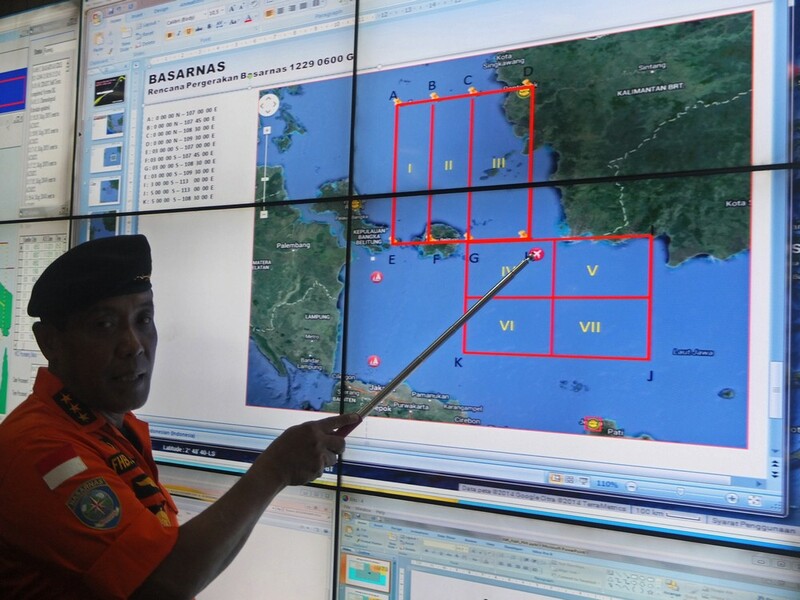 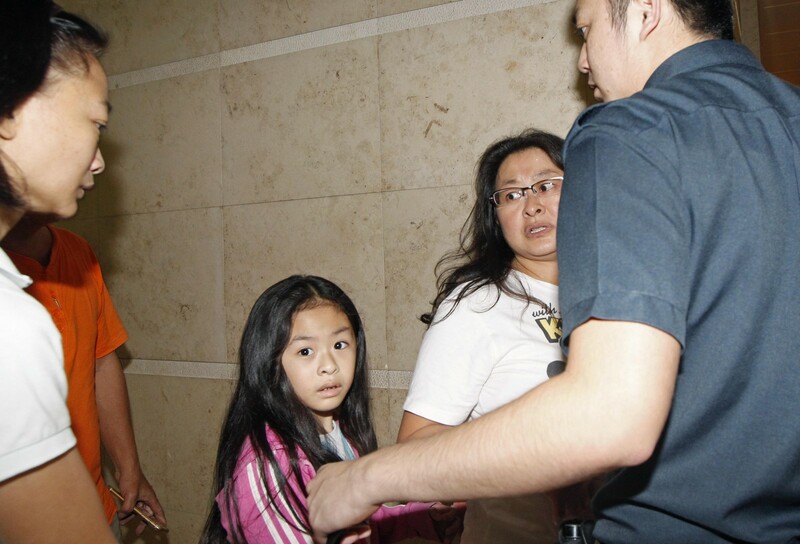 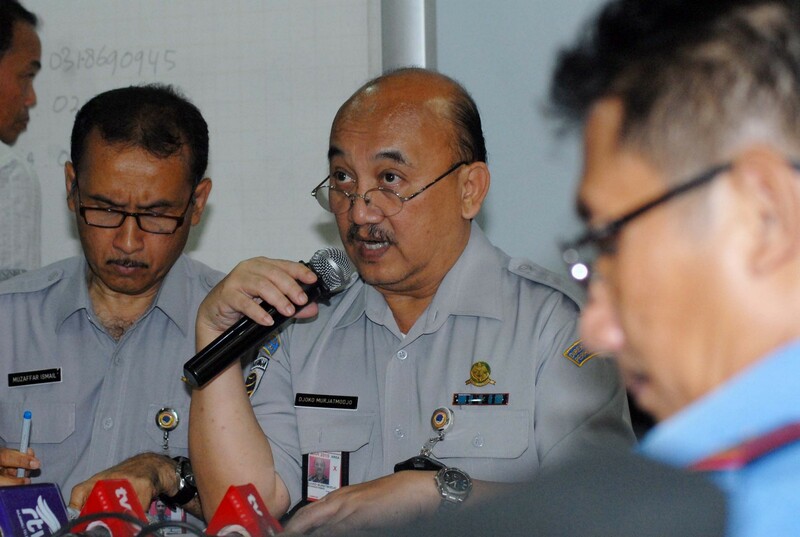 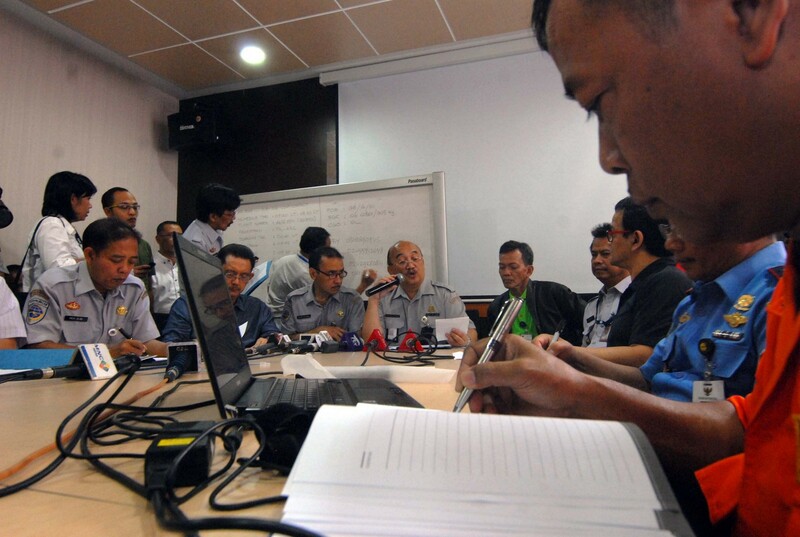 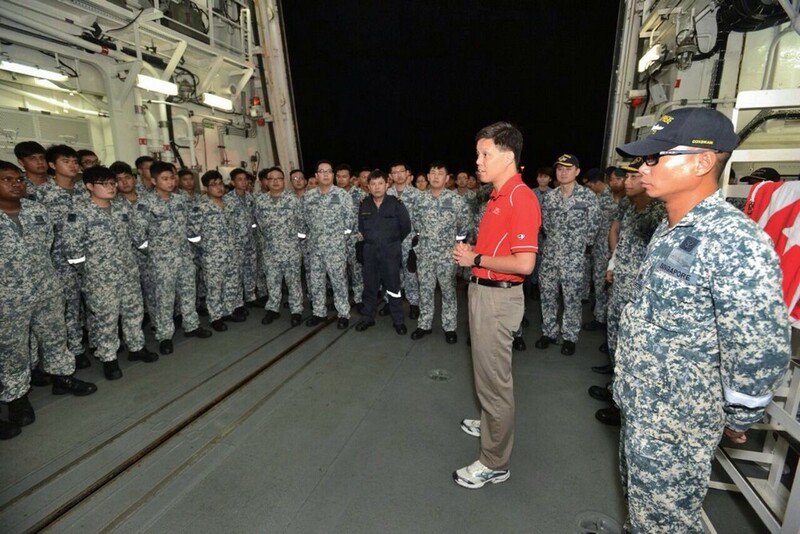 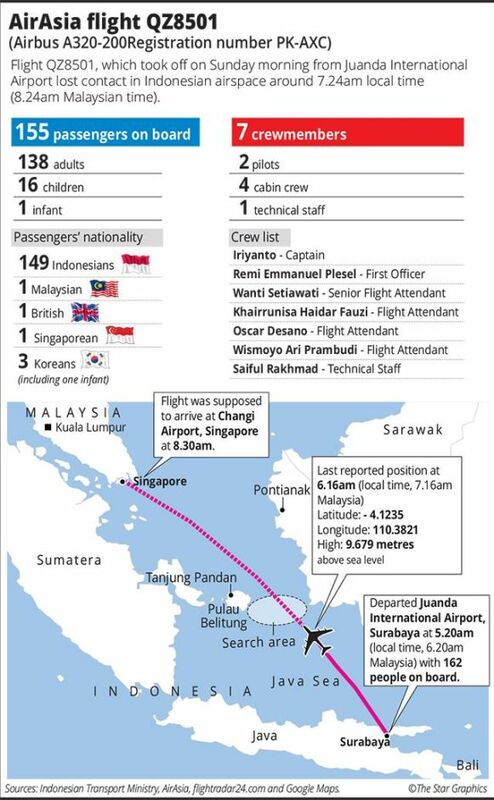 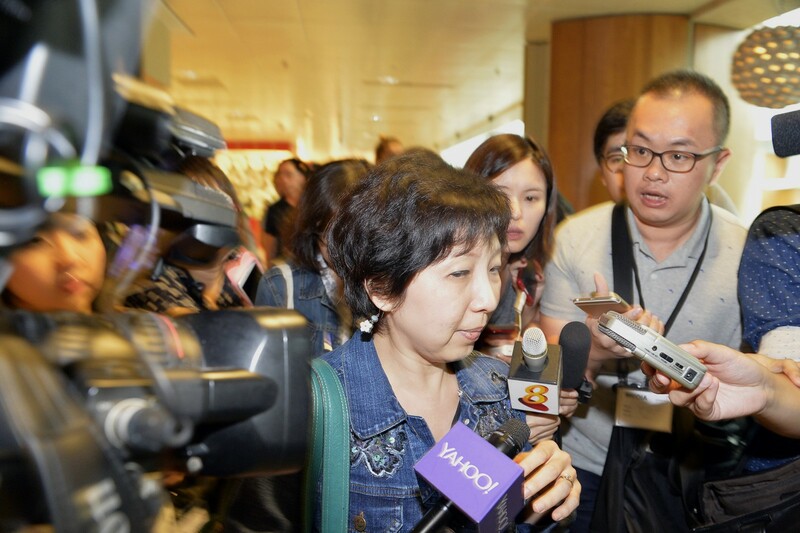 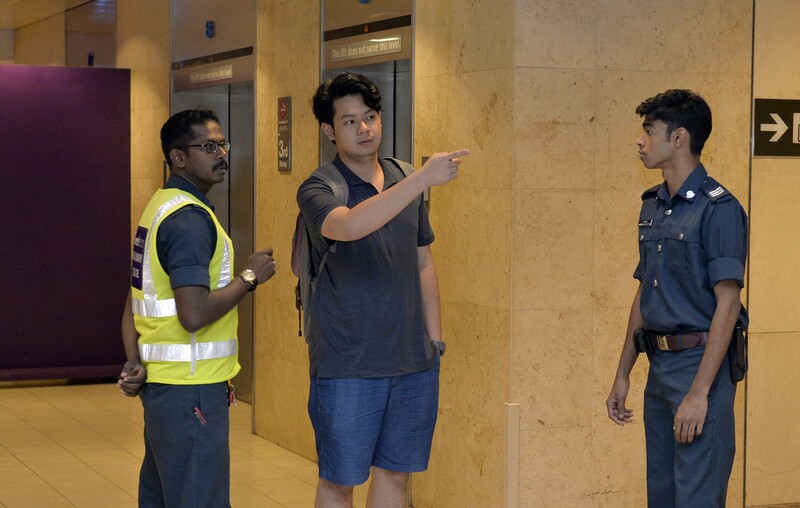 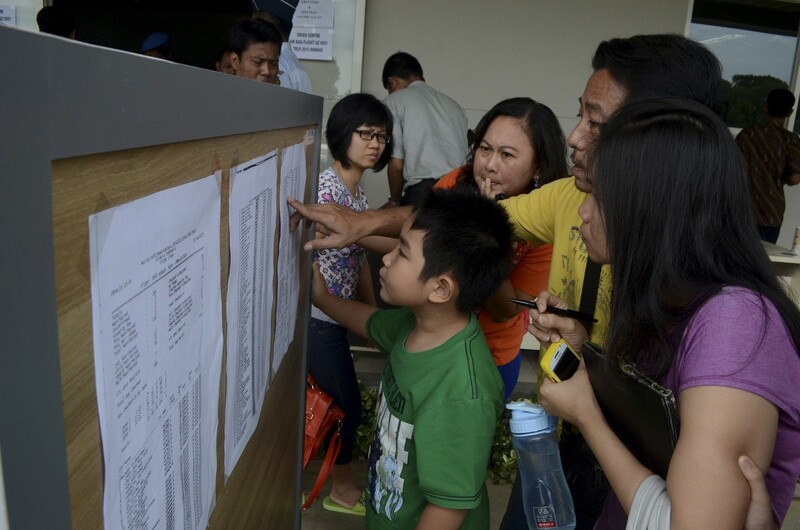 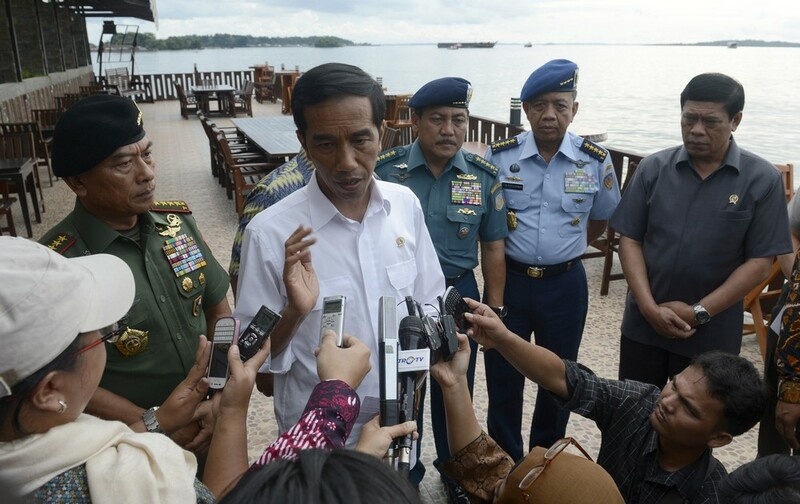 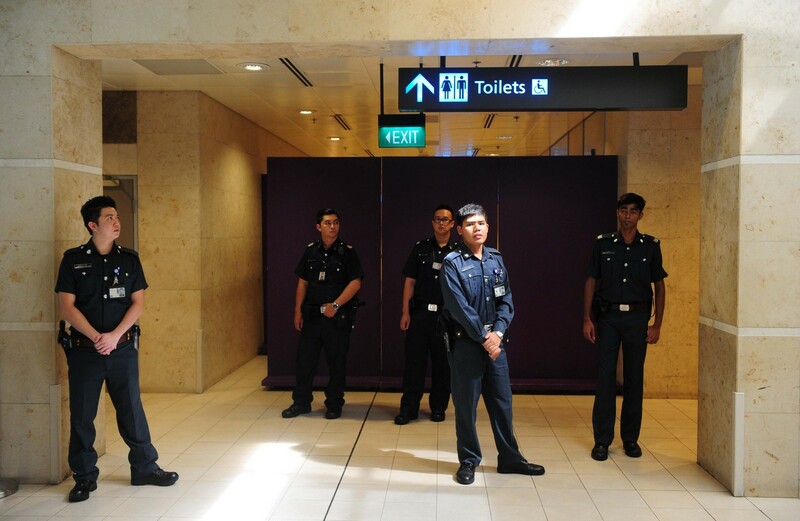 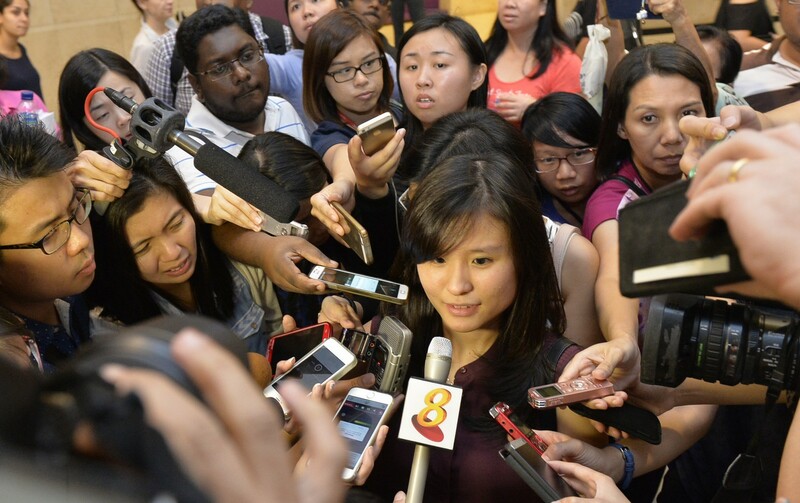 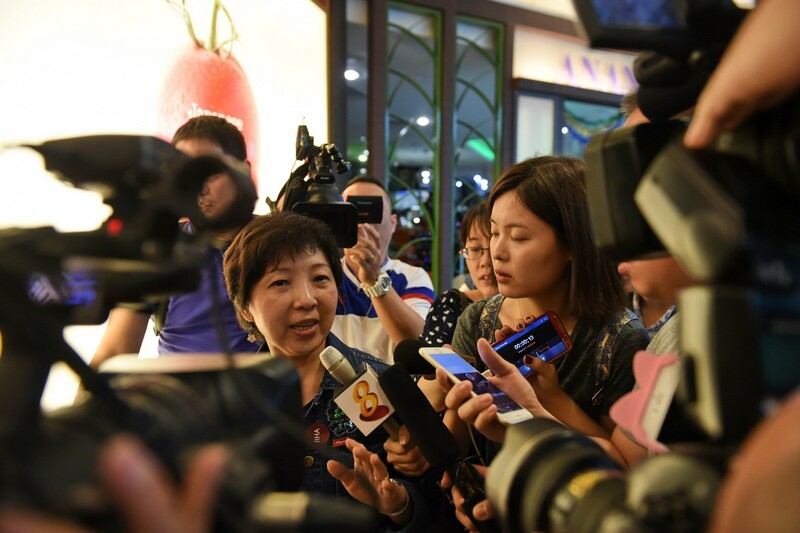 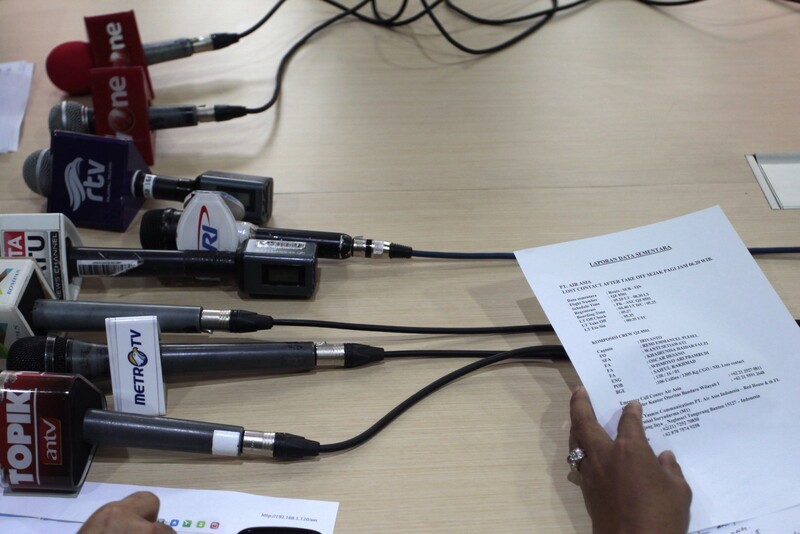 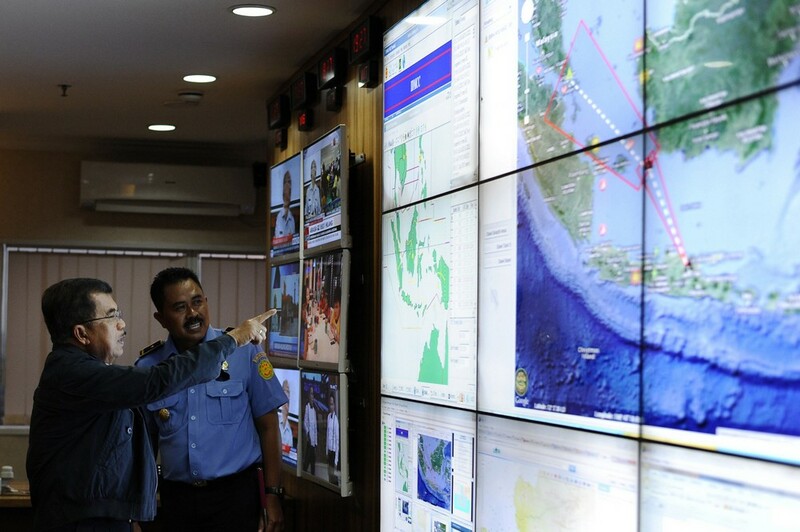 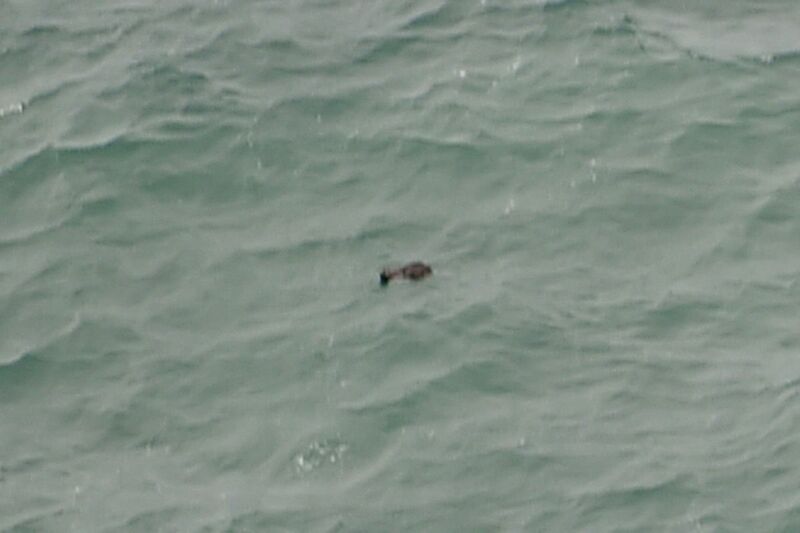 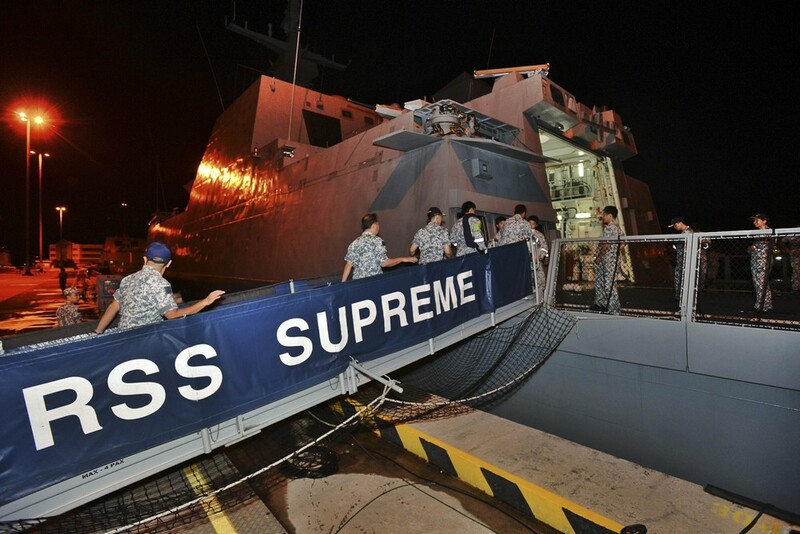 - A search-and-rescue operation is launched involving Indonesia, Singapore and Malaysia. 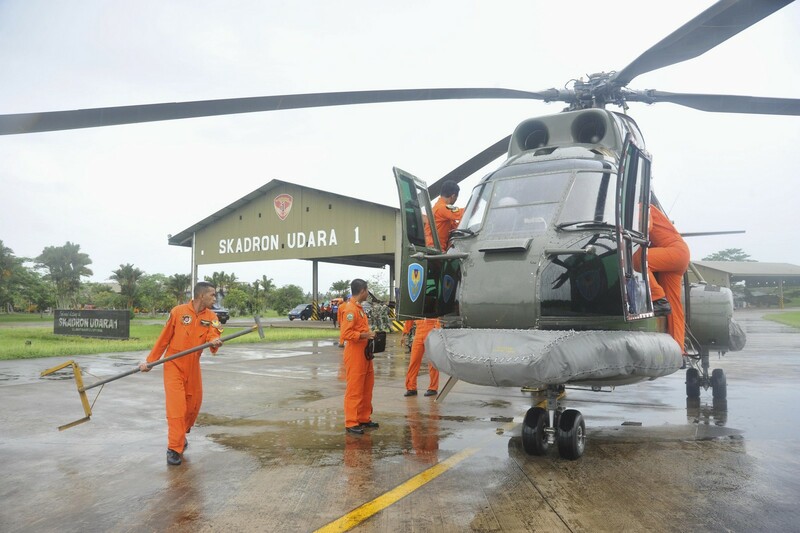 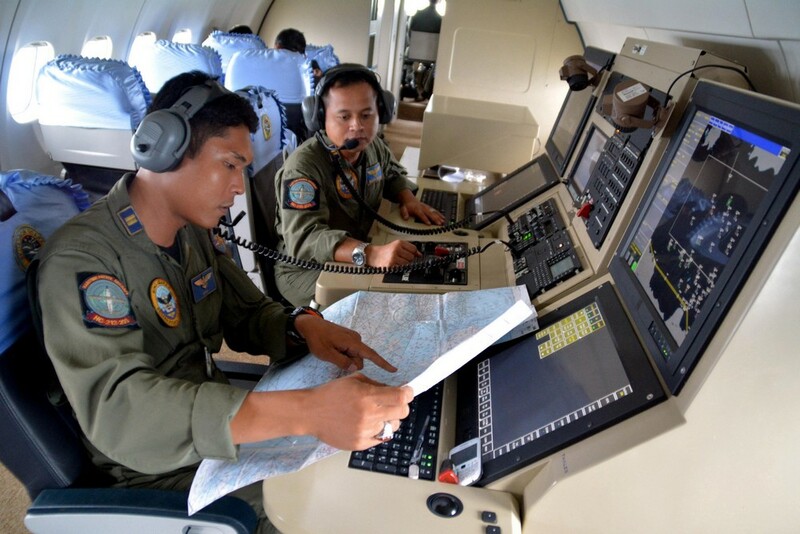 Three Indonesian aircraft are dispatched to the area, while Singapore's Air Force and Navy search with two C-130 planes. 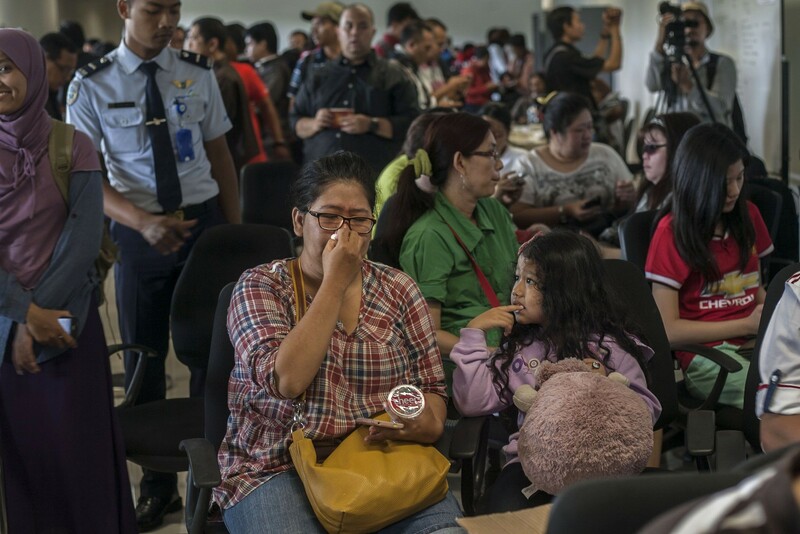 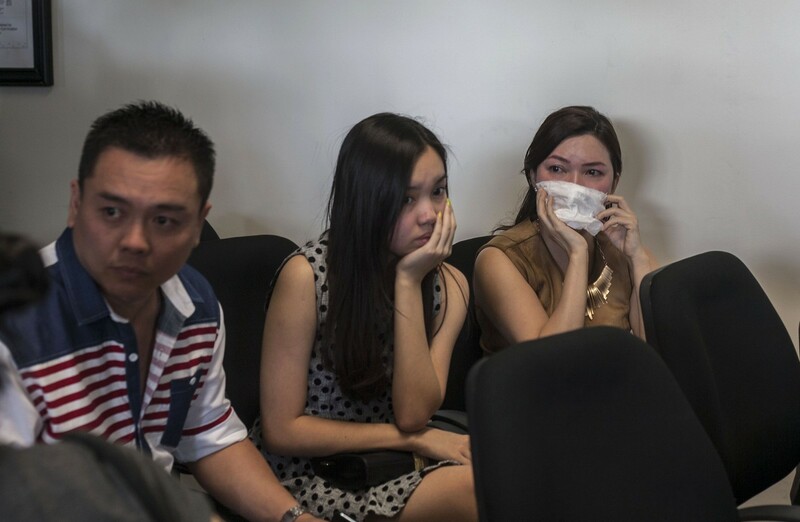 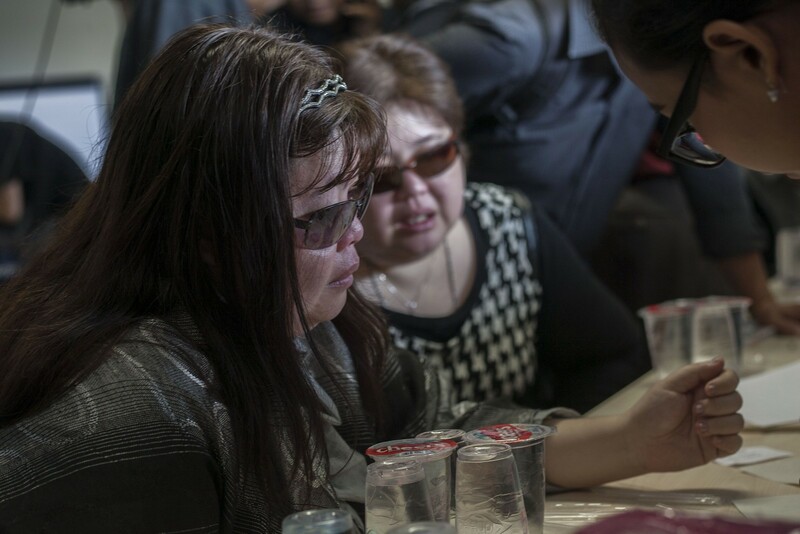 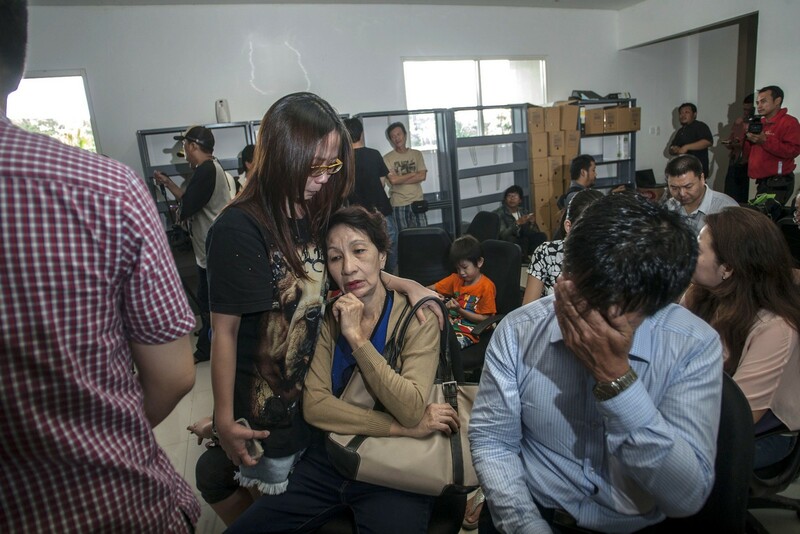 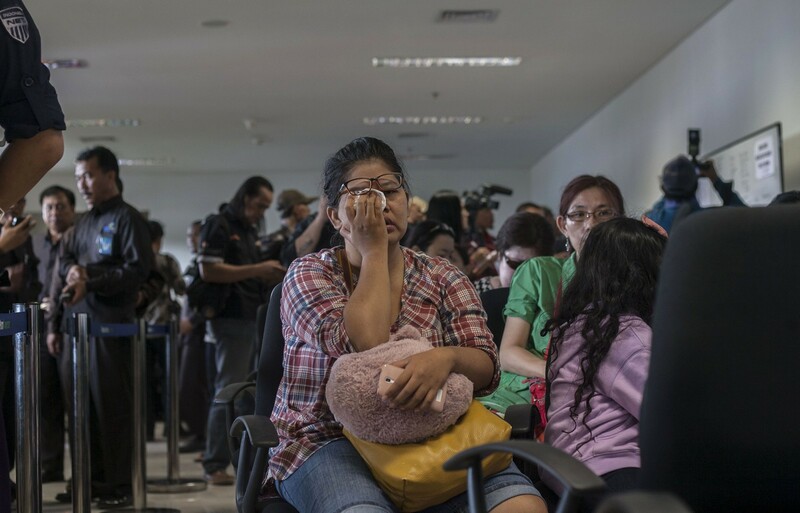 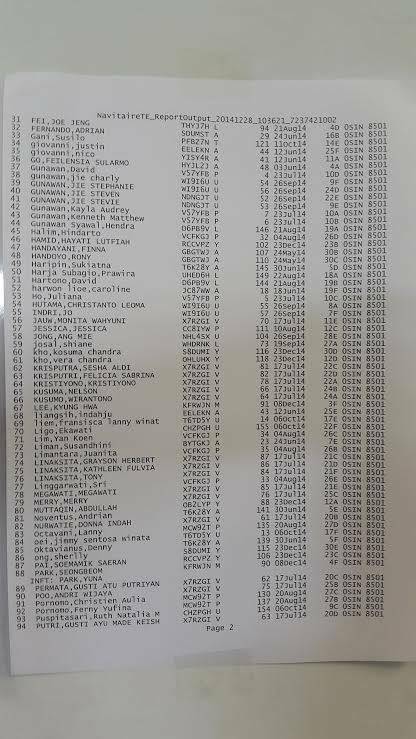 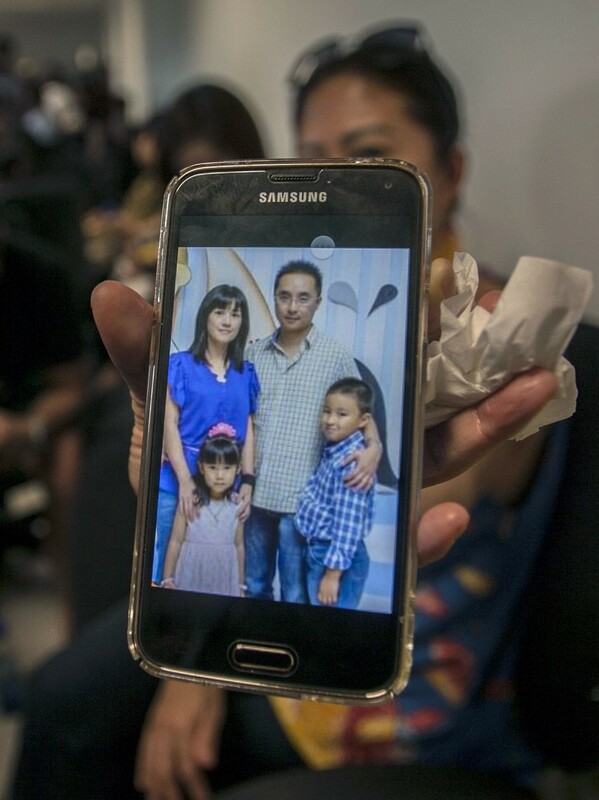 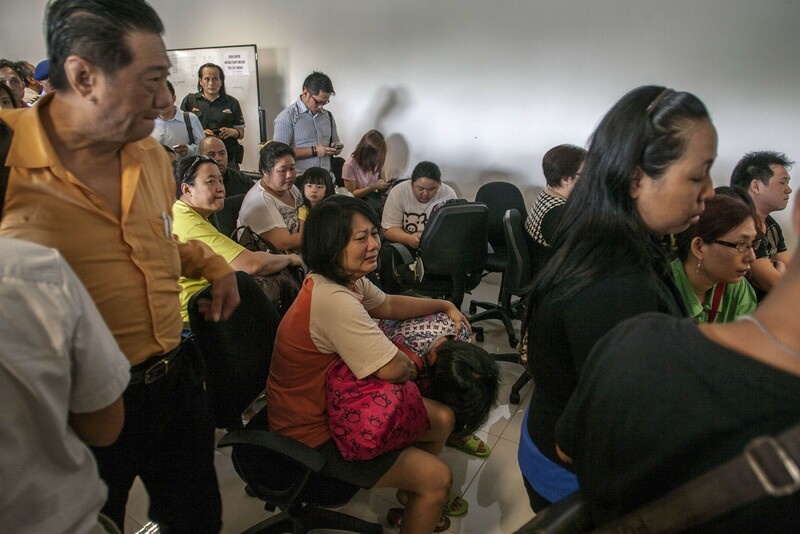 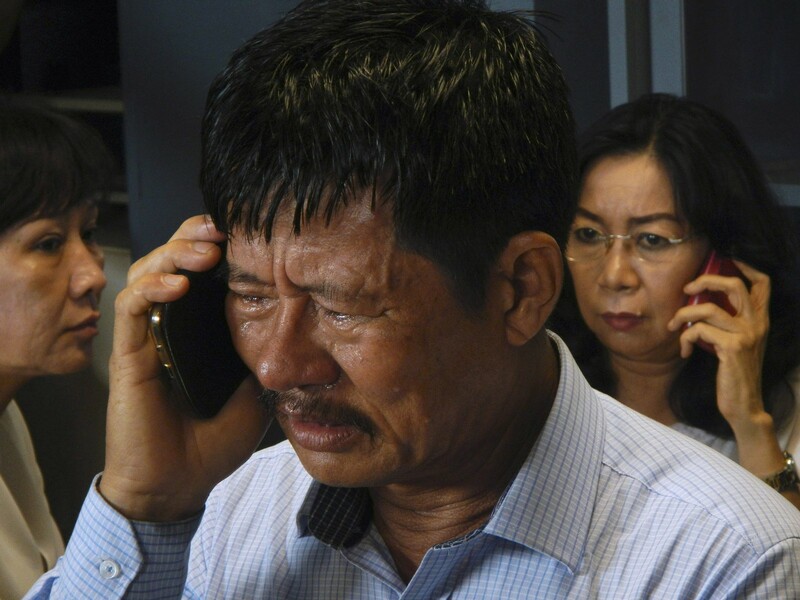 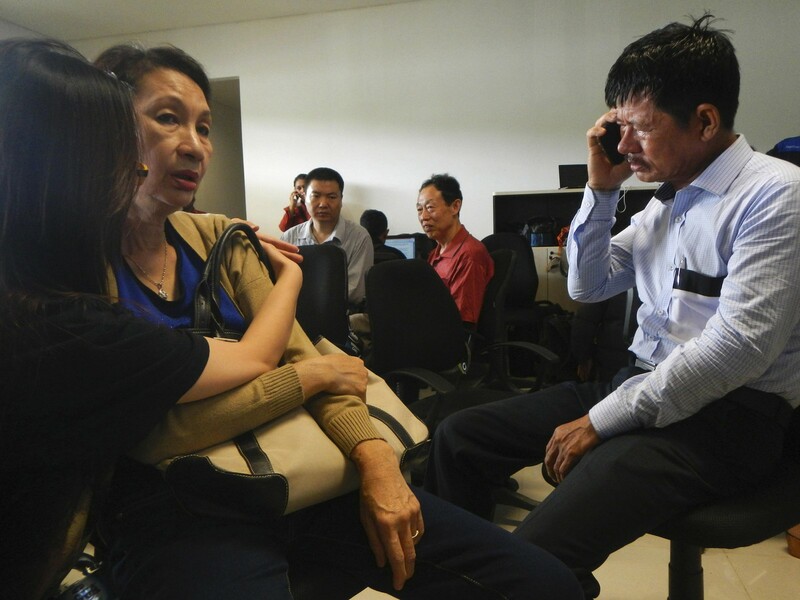 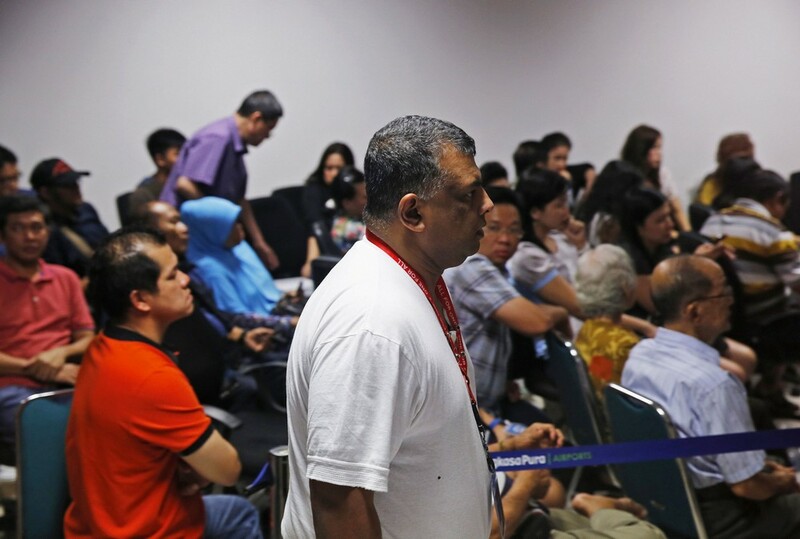 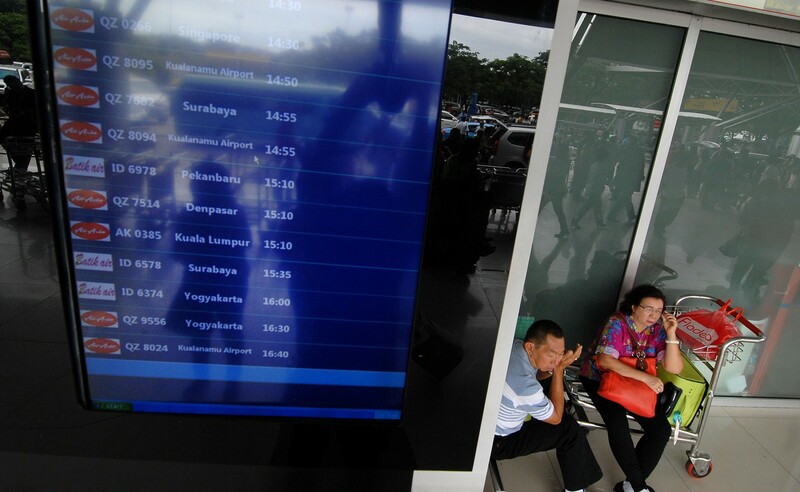 - Dozens of relatives of people aboard the plane gather in a room at the Surabaya airport to await word about their loved ones. 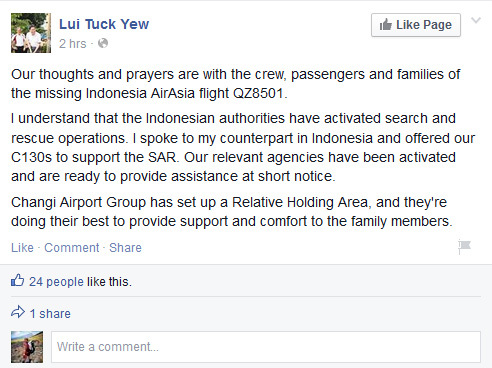 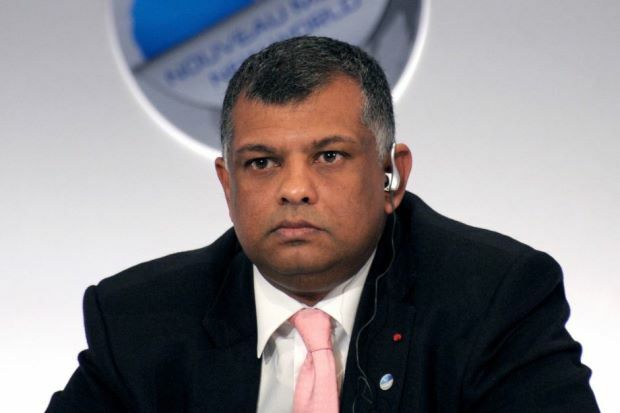 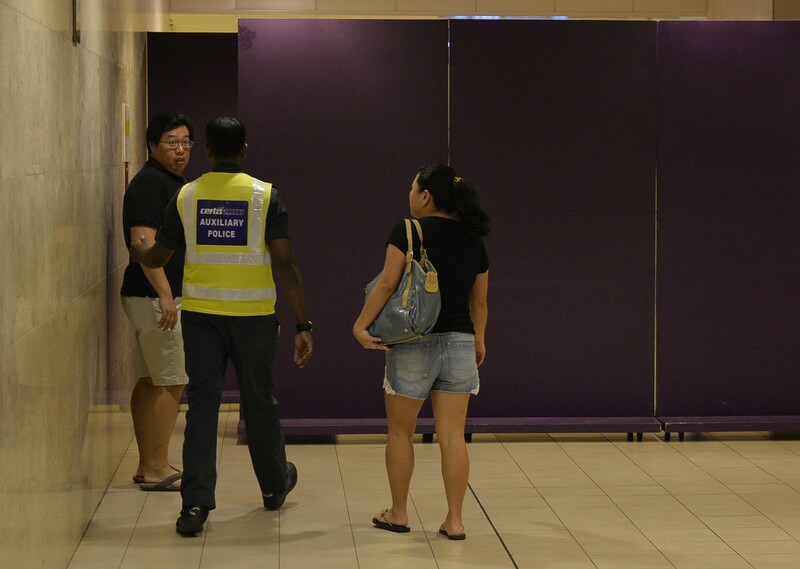 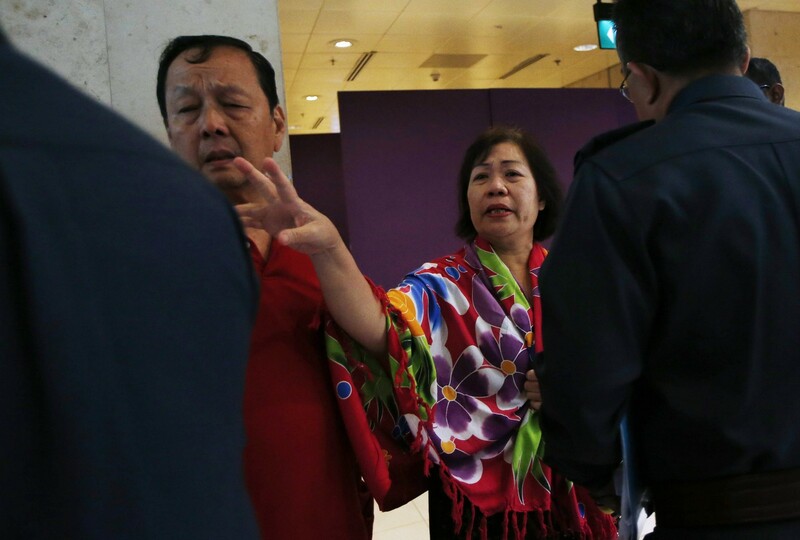 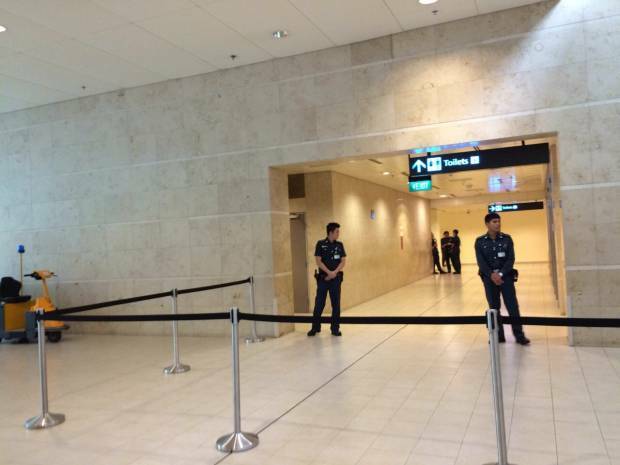 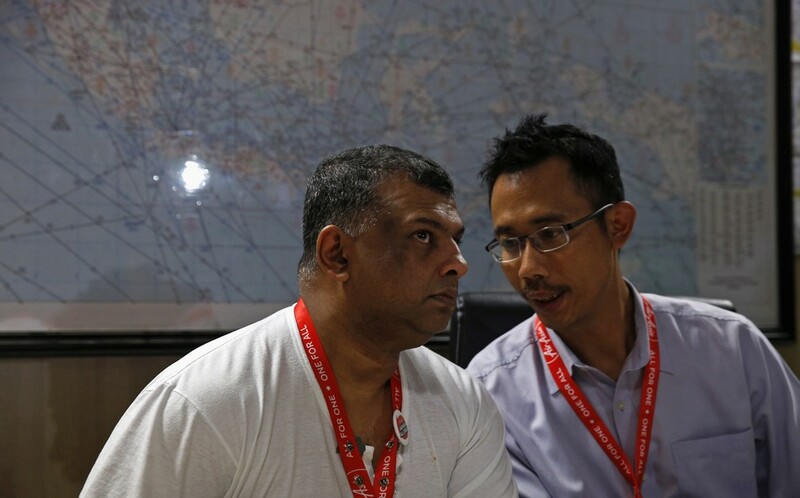 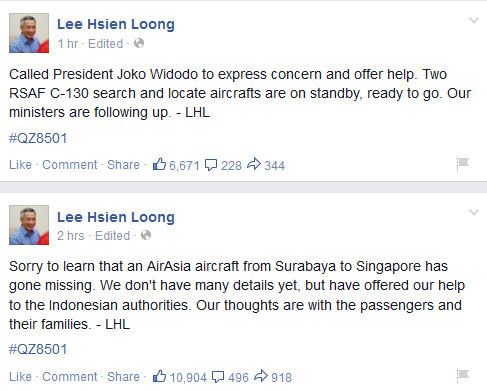 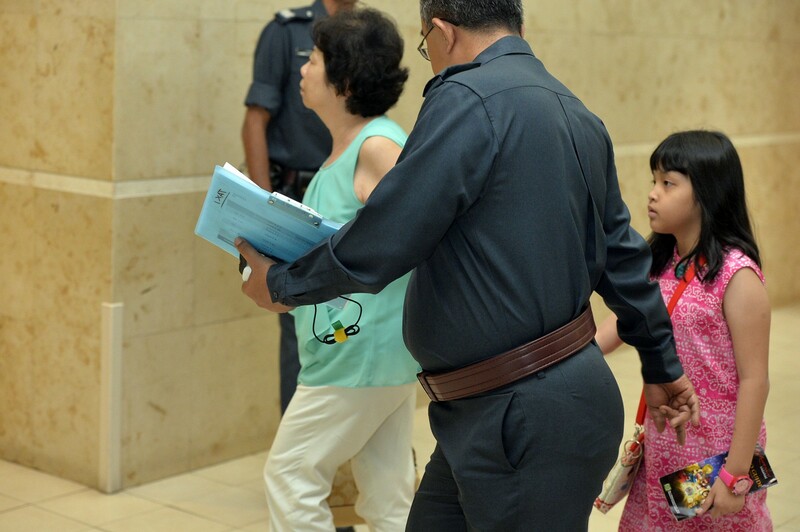 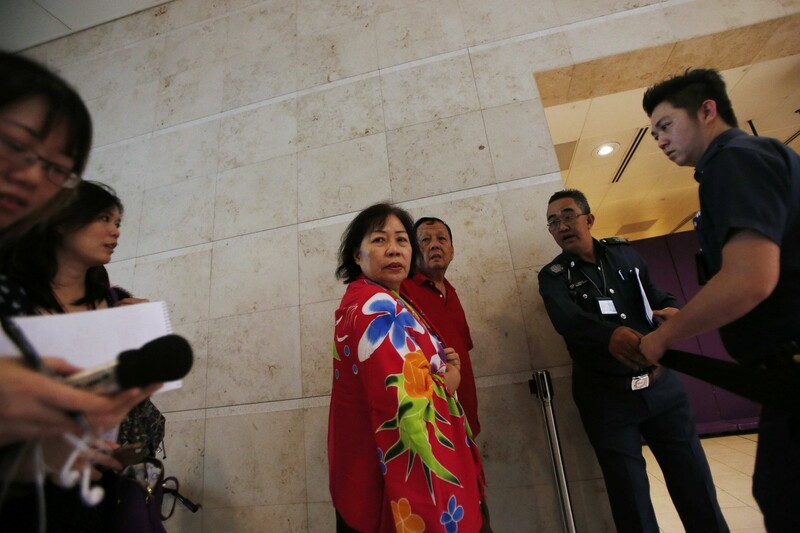 - Malaysian businessman Tony Fernandes, AirAsia's CEO, tweets: "Thank you for all your thoughts and prayers. 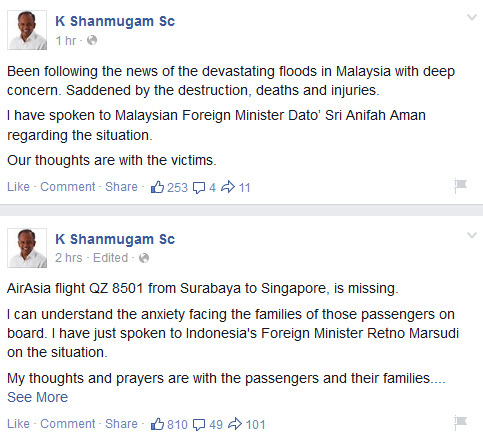 We must stay strong." 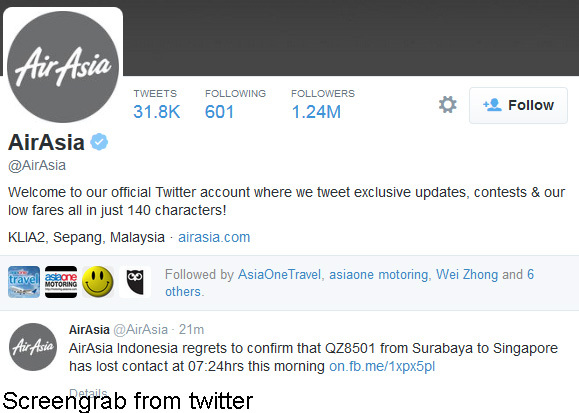 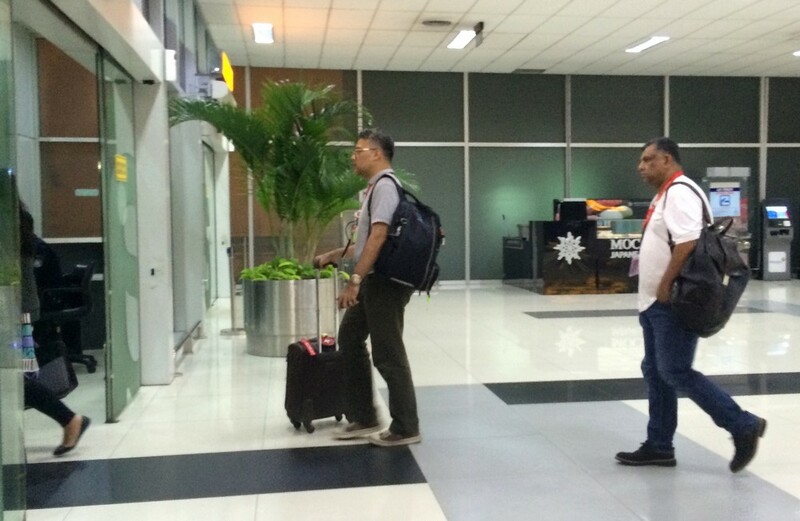 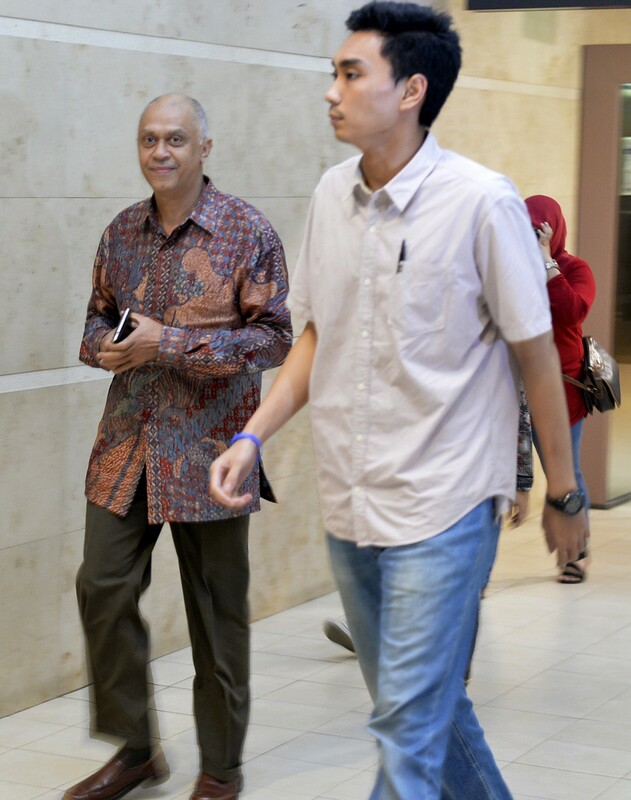 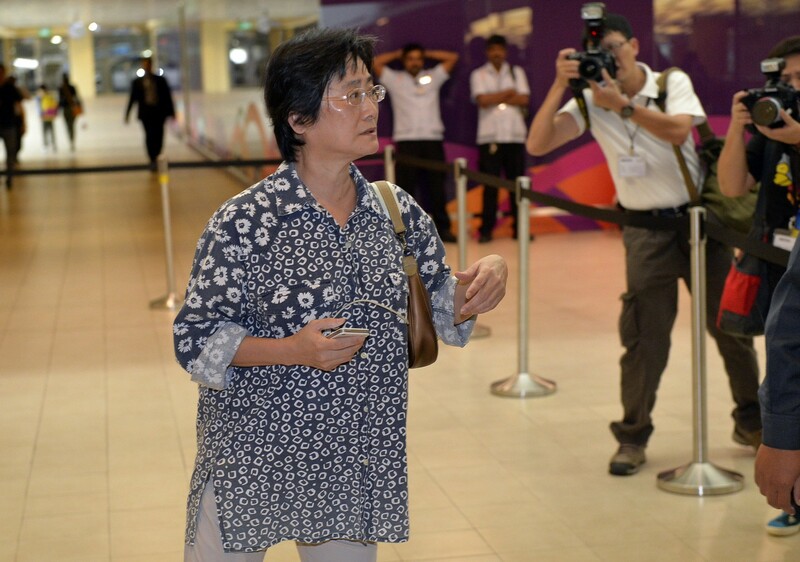 He later tweets to say he is heading to Surabaya.